"What adhesive can glue neodymium and ferrite magnets?" This is one of the most frequently asked customer questions. Hence, we conducted our own extensive tests that brought us to the conclusion: For glueing super magnets, use UHU MAX REPAIR! It works well on porous and non-porous materials, is water-resistant, gap-filling and flexible. Additionally, it is shock and vibration resistant and can be used at temperatures between -40 °C and +120 °C. For more detailed information please read the technical data sheet (ca. 25 KB), which unfortunately is only available in German. 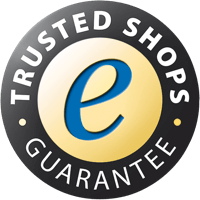 Whether you use it on wood, fabric, leather, cork, metal, glass, plastic, ceramic, stone or cement: This adhesive keeps its promises! Attention: Some plastics are not suitable for gluing: polyethylene (PE), polypropylene (PP) and Teflon (PTFE), as well as other plastics with low surface tension. 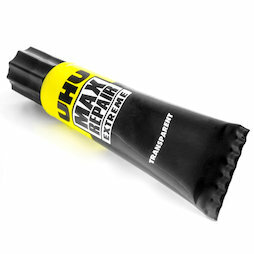 Hence, UHU MAX REPAIR is not suitable for use with our rubberised magnets.